This entry was posted on April 1, 2014 by DreamDay. If the first thing that popped into your mind was "what is Modern Chic anyway? 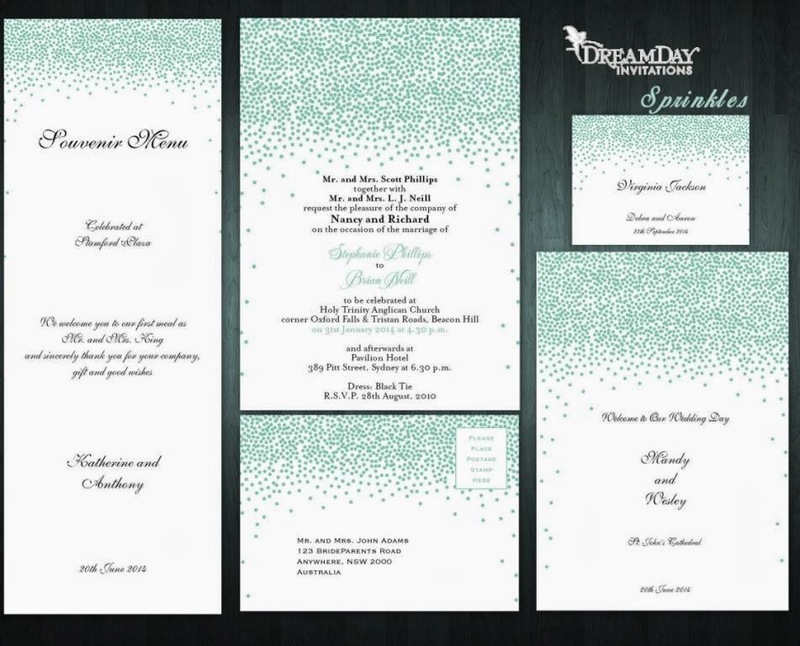 ", don't fret, we are here to help, explain and guide you to what could be the best wedding yet, with tasteful wedding invitations, memorable decoration and various details of your wedding that your guests will rave about for months, nay, years to come! Shall we proceed? Essentially, chic means to say 'stylish' or 'smart' in a sense of fashion or lifestyle choice, which also applies to weddings and other personal & special events. Add a touch of modernism to the mix, and there you have it, modern chic. It's about infusing the two for a perfect balance. You bring a sense of discipline, balance or streamlining your design, (if you will), to suit your personality. That's what modern chic is all about, but hey, inspiration and interpretation is all in the eye of the maker, so it can be anything you want. We have a few ideas we want to bounce of your noggin' for inspiration, so keep reading! Think crisp, clean, and sophisticated. Think sleek details, baroque and a little glam detailing to tie it together. That's what it's all about. Can you imagine your wedding with a tasteful modern chic theme? It'll be beautiful, no matter which colour you are leaning towards, as it's all about the details, styles and design elements. Your first go-to would be your wedding invitations, and possibly even the save the dates. You can easily find a flow from one wedding element to the next by matching them with a focal design look. Is it the clean lines you want to highlight, or is it the sophisticated colours you've picked that look so fabulous on the wedding invitation? Does your entire look blend together well? We've got a few inspirations for you to consider when selecting a modern chic wedding theme and of course wedding stationery and other elements to go with it. Confetti inspired weddings are so fun, but if you add a certain touch to it, in can be so elegant and not to mention quite the modern chic item. This design can also be interpreted as sequin work that you can see not only in the bride's wedding dress but possibly the bridesmaid's dresses and even the table cloth used for the wedding reception (or maybe the sweetheart table). This "Sweet Sprinkle" design which is available in both black and Tiffany Blue is quite eye-catching, fun and has a sense of sophisticated which makes it stand out whilst still preserving what a modern chic styling is all about. Have fun while selecting the ultimate look for your wedding day, and don't forget to keep this insight in mind. Happy planning!